The General Data Protection Regulation (GDPR) became law on 24th May 2016. This is a single EU-wide regulation on the protection of confidential and sensitive information. It enters into force in the UK on the 25th May 2018, repealing the Data Protection Act (1998). For the purpose of applicable data protection legislation (including but not limited to the General Data Protection Regulation (Regulation (EU) 2016/679) (the "GDPR"), and the Data Protection Act 2018 (currently in Bill format before Parliament) the practice responsible for your personal data is Royal Primary Care. Royal Primary Care will be what’s known as the ‘Controller’ of the personal data you provide to us. Every member of staff who works for an NHS organisation has a legal obligation to keep information about you confidential. We will only ever use or pass on information about you if others involved in your care have a genuine need for it. We will not disclose your information to any third party without your permission unless there are exceptional circumstances (i.e. life or death situations), where the law requires information to be passed on and / or in accordance with the information sharing principle following Dame Fiona Caldicott’s information sharing review (Information to share or not to share) where “The duty to share information can be as important as the duty to protect patient confidentiality.” This means that health and social care professionals should have the confidence to share information in the best interests of their patients within the framework set out by the Caldicott principles. Our policy is to respect the privacy of our patients, their families and our staff and to maintain compliance with the General Data Protection Regulations (GDPR) and all UK specific Data Protection Requirements. Our policy is to ensure all personal data related to our patients will be protected. All employees and sub-contractors engaged by our practice are asked to sign a confidentiality agreement. The practice will, if required, sign a separate confidentiality agreement if the client deems it necessary. If a sub-contractor acts as a data processor for Royal Primary Care an appropriate contract (art 24-28) will be established for the processing of your information. Some of this information will be held centrally and used for statistical purposes. Where we do this, we take strict measures to ensure that individual patients cannot be identified. 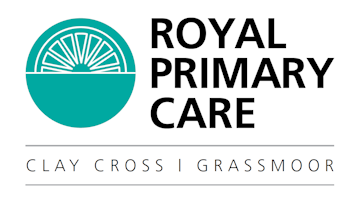 Sometimes your information may be requested to be used for research purposes – Royal Primary Care will always gain your consent before releasing the information for this purpose in an identifiable format. In some circumstances you can Opt-out of the surgery sharing any of your information for research purposes. All the personal data we process is processed by our staff in the UK however for the purposes of IT hosting and maintenance this information may be located on servers within the European Union. No 3rd parties have access to your personal data unless the law allows them to do so and appropriate safeguards have been put in place. We have a Data Protection regime in place to oversee the effective and secure processing of your personal and or special category (sensitive, confidential) data. You will be informed who your data will be shared with and in some cases asked for consent for this to happen when this is required. We may also use external companies to process personal information, such as for archiving purposes. These companies are bound by contractual agreements to ensure information is kept confidential and secure. All employees and sub-contractors engaged by our practice are asked to sign a confidentiality agreement. If a sub-contractor acts as a data processor for Royal Primary Care an appropriate contract (art 24-28) will be established for the processing of your information.